A lovely 1 bedroom apartment/penthouse ideal for couples enjoying the use of a shared pool. This holiday apartment in Gozo enjoys and open plan kitchen, dining & living area that leads to a front balcony which overlooks the Gozitan and Maltese Channel. 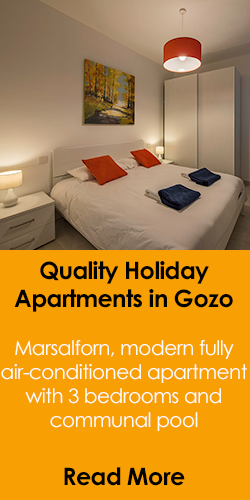 Book a great apartment for your holiday in Gozo. 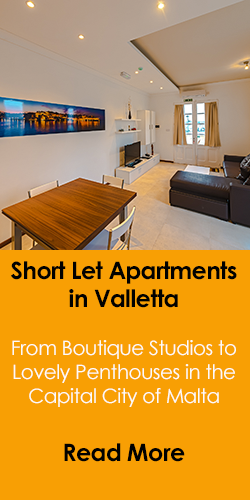 A unique apartment/penthouse with the use of a communal pool, ideally located just a few minutes drive from the Mgarr Ferry Terminal and enjoying views over Comino and the Gozo channel. A top floor apartment rental in Gozo with a large sun terrace and beautiful sea views from the master bedroom. Sleeps a maximum of 5 persons in 2 bedrooms and enjoys the use of a communal pool. 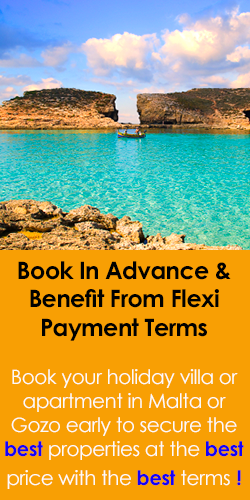 Book early to secure availability. Modern, bright and airy 2 bedroom apartment with beautiful sea views from the living, kitchen and dining area. 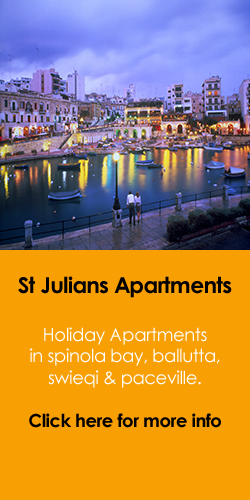 Sleeps a maximum of 3 persons in 2 bedrooms and enjoys the use of a communal pool. A lovely apartment rental. Minutes away from the Mgarr Ferry terminal in Gozo making it an ideal location for those who want to be close to the Yacht Marina and the delicous fish restaurants in the area. Sleeps 4 and enjoys the use of a communal pool. 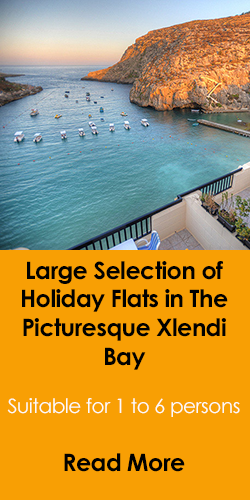 A penthouse apartment with shared pool in the village of Ghajnsielem just off the Mgarr Ferry Terminal and Marina. 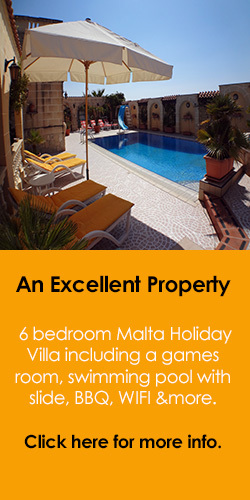 The property sleeps 4 persons in 2 bedrooms and enjoys views of the countryside and the channel between Gozo and Malta.